What a recitation last night of the famous Burda poem composed by Imam al-Busiri, the brilliant poet and true lover of the Messenger of Allah. Habib Kadhim attended the gathering which is usually held weekly. A powerful rendition of a poem that is oozing with love of the Best of Creation. A recording of his talk at the Burda recitation will be made available here as well. Come back in a few hours time. 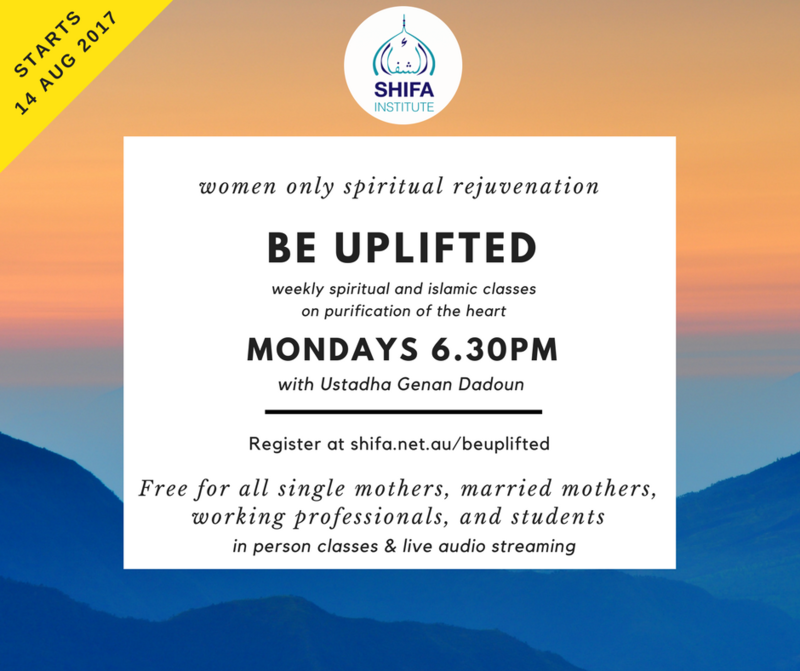 After a jam packed schedule for Habib Kadhim’s events in Sydney, we are now in Melbourne. We were honoured to be given a tour at the Islamic Museum of Australia immediately after leaving Melbourne Airport Thursday afternoon. Habib Kadhim was amazed by the ihsan and excellence in design and exhibition. He was deeply interested as he walked inside the Museum and prayed for its continued benefit to others and success. At the Museum, he spoke about the importance of khidma and benefiting others in the community, particularly in the da’wah to Allah. The entire Sydney entourage was present, as well as our local Melbournians. About 60 volunteers were present, and they all did a superb job. Habib Kadhim spoke about how Habib Umar was once found sweeping the musallah in the Ribat in Shihr, with the rest of the teachers. When Habib Kadhim asked Habib Umar to take a rest from that khidma, Habib Umar insisted that he continue sweeping. This was the love that the pious scholars have for being in the service of others. We are now going to have a quick rest, then get ready for the recitation of the Burda this evening. 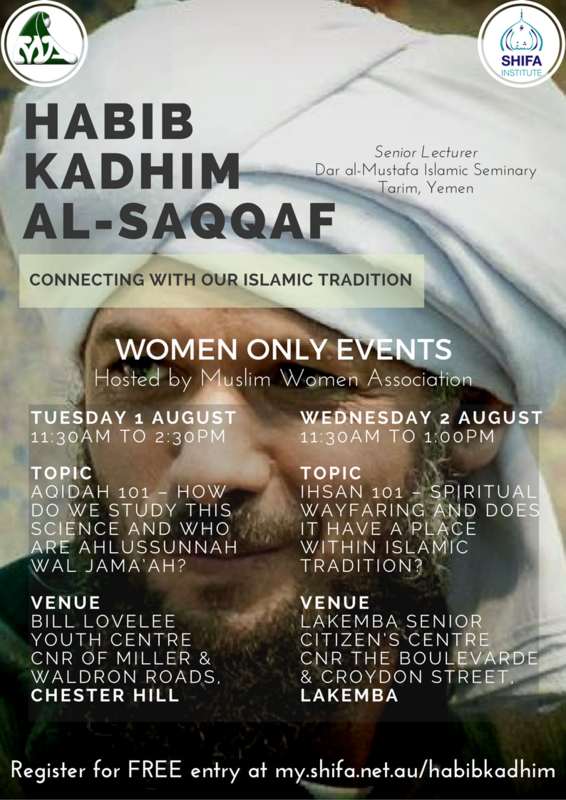 Habib Kadhim will be delivering his first public talk in Melbourne during the Burda gathering. I am really looking forward to an amazing tour. And the Melbourne khidma team is top notch. They are organised, full of impeccable adab (manners), and a joy to be around. A big shout out to Hussein Foladkar for being so gracious in his leading the way today. I hope to keep you updated as we progress through the tour. 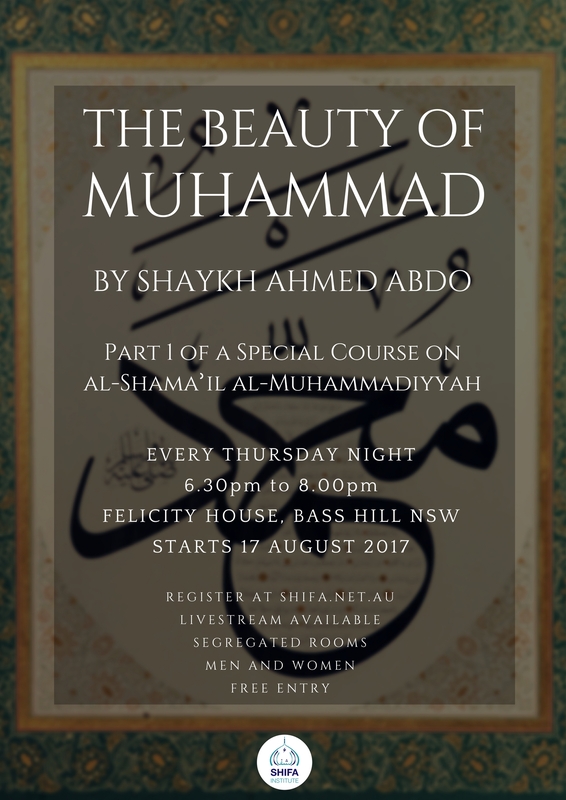 Here is a recording of Habib Kadhim’s amazing talk to the volunteers of the tour, delivered at the Islamic Museum of Australia – on 3 August 2017. Knowing Yourself – Episode 1 – Why Are You Here?